The Ottawa Paramedic Physical Ability Test (OPPATTM) was designed by researchers as an evidence-based, job specific simulation to test the physical ability required to meet the demands of paramedic work. Administered by Wilfrid Laurier University, the test is a result of many years of collaboration between kinesiology researchers and Ottawa Paramedic Service. uses job-specific simulation, meaning it looks and feels like the normal everyday work of a paramedic demonstrating strong face validity. Why is a new best practice standard necessary? Source: James Watson, Vice President CUPE 503 Ottawa Sun, July 28, 2013. The Ottawa Paramedic Physical Ability Test (OPPATTM) was designed by researchers as an evidence-based, job specific simulation to test the physical ability required to meet the demands of paramedic work. Find out more about the Research and Development behind the OPPATTM. 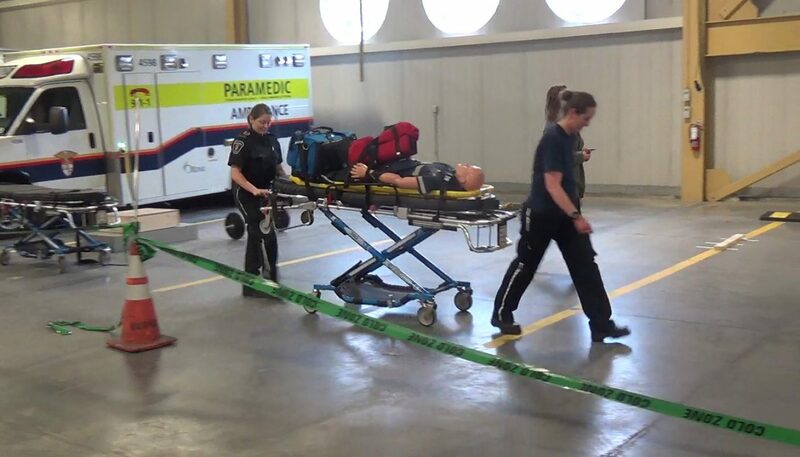 loading/unloading of the stretcher from an ambulance (with and without a weighted mannequin). Register for OPPATTM testing at one of our testing locations.